Are you starting to feel down on life and your own image? 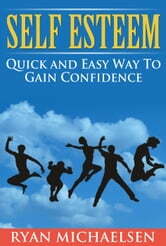 Many people are dealing with 'self esteem' concerns and being able to find themselves as people. Ryan Michaelson aims to look at how you can improve your self esteem as soon as possible in this delightful read.